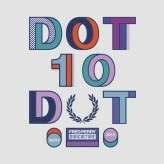 We’re very pleased to announce that Yakobo will be playing at Dot To Dot Festival in Nottingham on 24th May. Specific stage and time details will be announced soon, safe to say it will be worth coming along. Celebrating its 10th birthday, D2Dfest continues to be one of the best inner-city festivals going. The line up includes Saint Raymond, Rae Morris, Hudson Taylor and many more.